The 2019 University Hills Homeowner Representative Board Election will open for voting on Thursday, February 21 at 8 a.m. and close on Sunday, March 3 at 9 p.m. The HRB has seven members, who serve staggered terms. There are four seats up for election, and seven candidates on the ballot. (Write-ins are also allowed.) The annual HRB (Wondering What Is the HRB? Click Here) Election has been conducted electronically in recent years in an effort to reduce the use of paper and the margin for error. Candidate statements and additional information about the election can be found below. All University Hills homeowners are eligible to vote. University Hills residents without email addresses are snail-mailed a printed ballot that must be returned to the ICHA office to be counted. What If I Did Not Receive a Voting Code? 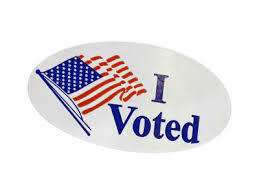 Eligible residents wishing to cast a ballot who do not receive an emailed voting code may vote in person. To vote in person, please see Barbara Correa at the ICHA office, 1083 California Avenue, Irvine, CA 92617. Election results will be reported to current HRB members on March 4 and posted to uhills.org shortly thereafter. New HRB members and all HRB candidates are invited to attend the HRB’s monthly meeting on Tuesday, March 5, 2019. Thank you for participating in the 2019 University Hills Homeowner Representative Board Election. As a resident of University Hills, an alumna of UCI, and a past employee, my relationship with UCI has been long-standing and evolving. My family has lived in University Hills for 6 years, and here I have reconnected with my undergraduate mentors and role models, made new friends, and met many truly remarkable neighbors that form the unique community that is University Hills. I have organized the Kids’ Item Exchange for more than 5 years and Craft Club for 2 years, helping to facilitate the generosity and creativity of our community. I am a new member of the Community Safety & Diversity Working Group, and I am enthusiastic about continuing to support and build our neighborhood. I would look forward to serving the community as a member of this important board. My name is Cami Patel. I wear many hats, primarily as a mom, a wife, a sister, a daughter and as a friend. I am a trained Nurse Practitioner, but am currently at home raising my two, sweet kids. I love spending time outside – especially enjoying our warm California sunshine. We feel extremely fortunate to have moved into a new home on Graham Street this Fall. I still remember the anxious excitement I felt on the day of the lottery drawing last May and the hopeful optimism we shared as we planned our future in UHills. While we have only lived in UHills for just 3 months, I have already glimpsed the potential for our new and growing neighborhood. Just last month we gathered on our brand new street for a ‘Get to Know Your Neighbor’ Ice Cream Social. Our two children gleefully ate (too much) ice cream and played with their new friends. Having a hand in creating a safe, supportive, healthy and happy community for them to grow is my priority. A sense of fellowship is apparent and it makes me eager to invest in my neighborhood and to be an active community member. Thank you for your consideration. As an active member of the HRB these past two years, I have advocated for and supported the interest of this community, particularly providing voice for the rental community, who had previously never been represented on the board. I do appreciate the value of living in such a splendid community. With the continued growth and development of the physical landscape coming close to completion, the direction that ICHA is taking is turning more toward the development of a community from a more personal perspective. My experience prior to joining this community, afforded me the opportunity to do just that. As the Director of Palo Verde Housing, a graduate and family student housing community, I was able to develop a Residential Life component to our operation which included forming a resident council, similar to HRB, providing residents an opportunity to have a voice in the affairs of the community. I have always been of the mindset that if you aren’t actively engaged in the management of your community, then you really can’t complain when you don’t like something. I am a firm believer in communication. It is one area that will make or break any relationship. In my time as a resident here, I have seen what an active community can do, as the level of community engagement is plentiful. I believe my experience and skill set will continue to add value to an already robust group. If you have any questions, or require additional information, please do not hesitate to contact me. My contact information is 1209 Cervantes Ct. Home phone is. However the best way to reach me is via my mobile number, (949) 683-3130. I am running for re-election for my position on the HRB. As a 16-year resident of University Hills I have been fortunate to witness much of our growth and development. This growth encompasses not only the new homes and facilities springing up like topsy; it especially, in my view, manifests itself in the variety of events, engaged communication, and social gatherings that enable us to become a community and not just a subdivision. With the creative use of our community center and the liberal use of our listserv email community, events sponsored by the HRB Entertainment Committee such as the various fora, the fall fiesta, dances and food trucks, cultural celebrations, Holiday Bazaar, movie nights at Gabrielino Park, as well as the informal organization of people sharing interests and skills like the knitters, the yoga folks, the children’s Saturday morning craft group, the Friday socials, and the pick up soccer and basketball games, etc. we as a community have pointed the way to a fun and enriching environment. My specific interests lie in continuing to build on this foundation of community. In the next year, issues both critical and mundane will come before the HRB. I intend to encourage the HRB to advise ICHA on issues of community safety, environmental and sustainability issues, and planning for future construction. I intend to encourage HRB to continue HRB’s conversation with the UCI Police Department and also to foster the development of dispute resolution mechanisms for residents. I hope to bring a similar vision of community to the revamping of our website. I hope to help the HRB expand upon the community surveys such as the traffic study and the survey on recreational facilities. Ultimately, I hope to aid in making this a community that feels safe and welcoming for all its residents, their friends, and their extended families. We are blessed with perhaps the most diverse neighborhood in the county. The cultural and intellectual variety of our residents, and even the wide range of ages represented here provide us with an opportunity to be someplace very special indeed. Therefore on HRB, my chief goal would be to review all of our recommendations and actions through the lens of how they could bring us together in a web of understanding and amity. My name is Sandrine Biziaux-Scherson, I live on Zola Court with my husband and our son Noah. I have 6 years’ experience on the HRB and would gladly continue my commitment to try to improve the quality of life of University Hills residents and to preserve our rich and wonderful environment. In 2020, the building of new homes in University Hills will end. I believe the emphasis on community building is more important than ever. Our rich cultural diversity and varied and talented backgrounds are assets beyond measure. I’m excited about participating in this process of serving our community. I hold a graduate degree in Community Economic Development and have spent my career focusing on quality of life issues: women’s issues, diversity, economic justice, and improving the lives of people with disabilities. The first Executive Director of a community cultural center, (home to art studios, businesses, and organizations) I worked to promote a wide range of cultural and educational programs and events. I created and implemented an approach to community engagement that brought all kinds of people into the conversation. This involved elements of community organizing, facilitated meetings and a connection between dialogue and action. Called, “Honest Conversations,” the program spanned small towns, urban and suburban areas in two counties, often in conjunction with local fair housing initiatives. I truly understand the value of perspective, consistency and creativity. Four years ago, my husband and I moved to University Hills from Cleveland, Ohio. We are grateful to have the opportunity for a new home, and great neighbors and friends. University Hills is an exceptional community with spectacular amenities. I am committed to making it an even better community, and I am grateful to have the opportunity to serve our community as a member of HRB. When my family moved to this community nearly four years ago, we were struck by the unparalleled amenities of the community as well as the generosity and brilliance of our neighbors. As I grew to love this place and appreciate the unique and special resources that we are able to access for so little in return, I felt compelled to pay it forward by running for the HRB. Leading the effort to plan new and improved amenities including the design of the three new public spaces in Area XI that will be ready for use starting at the end of this year. Serving as a member of our Entertainment Committee, helping to create and run fun and educational leisure and cultural activities such as our 80’s Prom Nite last spring, Trivia Pub Night last fall, and ongoing Sunday Food Trucks. Looking ahead, I hope to have the opportunity to continue working with ICHA to help pivot University Hills from focusing on building homes that break down barriers to recruiting new faculty and staff to fostering community in ways that give faculty, staff, and their families more reasons to stay here. It has been an honor serving you, and I’d be most grateful to have your support to serve another term on the HRB.